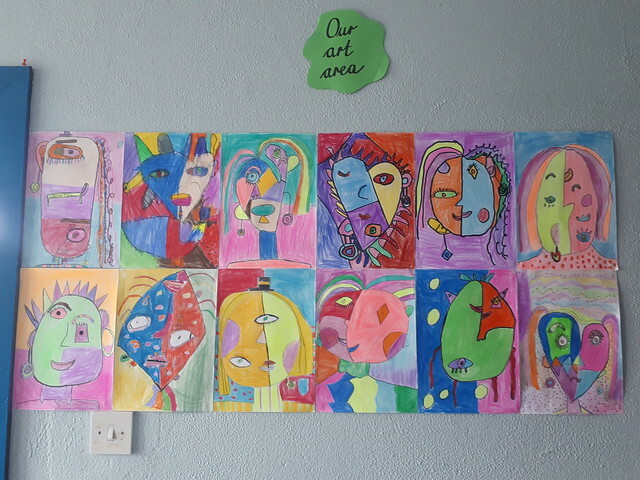 Pupils is second class were reading all about the famous Spanish artist, Pablo Picasso. 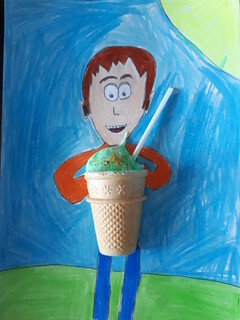 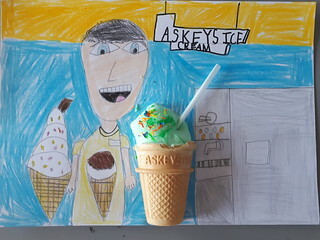 Here are some of their very imaginative portraits in the style of Picasso. 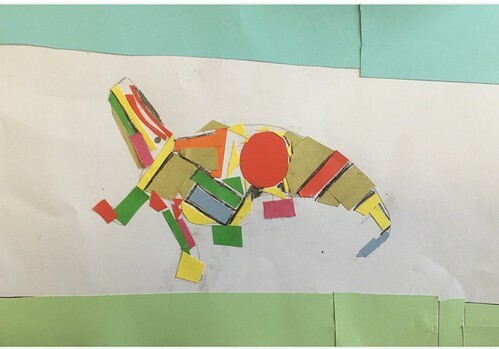 3rd class learend about the famous artist Gaudi and saw some of the wonderful work that he did with mosaics, particularly in Barcelona. 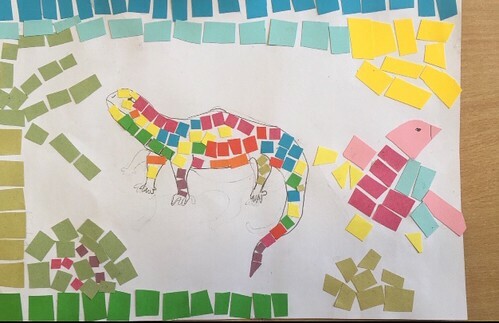 They used the popular motifs in Gaudi's work - the lizard and the sun to create their own mosaic pictures inspired by his work. 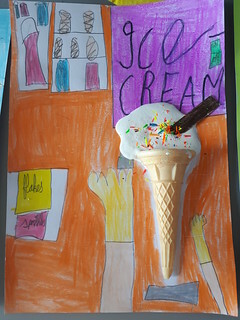 Pupils in second class mixed paint, glue and shaving foam to make these lovely summer creations. 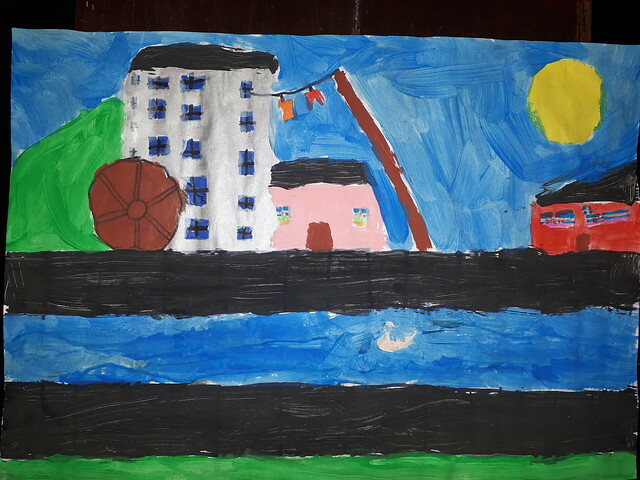 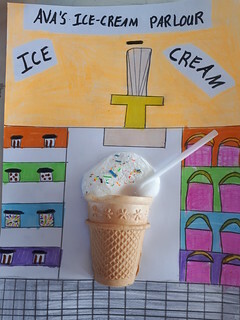 The local mill featured in a recent art activity in second class. 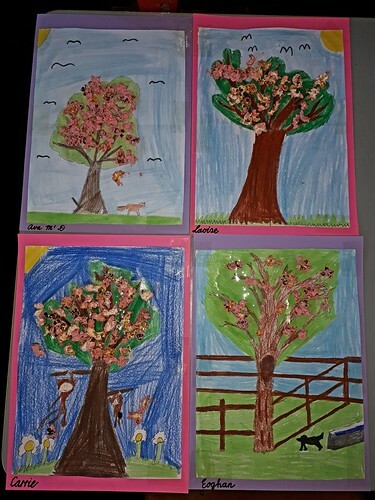 Pupils in second class had great fun making these cherry blossoms with microwaved popcorn.